Ahhh the first birthday! In the blink of an eye, a year has gone by and after the party is over and the smash cake has been cleaned off of your little one’s face, you realize you now have a toddler on your hands. Perhaps one of the biggest questions I get from families is “What should my toddler be drinking?” Well, you may be surprised to find out. Prior to 9 months of age, the majority of nutrition that infants receive comes from what they are drinking whether that is breastmilk, formula or a combination of these. Around 9 months of age as infants are starting to do more substantial solid foods (i.e. eating from the table and not just pureed baby foods), the balance of nutrition will begin to tip a bit, and by their first birthday, children should be getting a solid amount of their daily intake of fat and calories from the foods they are eating. When that first birthday comes around, what goes in your toddlers cup should be considered more of an accessory to the foods that they are eating. Whole cow’s milk in moderation of no more than 16-20 ounces per day total is typically what I recommend. Now, let’s say your child hates whole milk and wants nothing to do with it. That is perfectly A-OK!!! Wait? You might be thinking, “Did she mistype something there?” NOPE! For children who are eating a wide variety of fruits, vegetables and dairy such as cheese and yogurt, there is absolutely no reason that your child MUST drink milk. In fact, humans are the only species that drinks another species milk! While cow’s milk can serve as a good source of fat, calories, protein, vitamin D and calcium, all of these nutrients and minerals can be consumed from the foods that we eat. 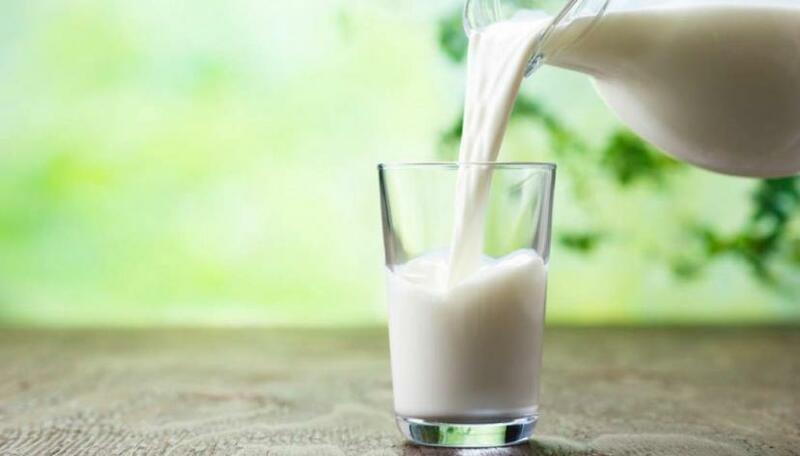 In fact, children who consume large amounts of whole milk, can actually become iron deficient and significantly anemic as the iron in whole milk cannot be absorbed as well by the body when compared to iron from other food sources. So what about those toddler formulas that have been so cleverly marketed to sit right next to the infant formulas and have some pretty bold claims? I almost NEVER recommend these as they are absolutely not needed for the vast majority of children. While infant formulas are one of the most tightly regulated industries by the FDA, these so called “toddler drinks” do not fall under such scrutiny and tight regulation. One toddler formula in particular claims to be the “#1 brand recommended by pediatricians” which is quite a claim since the American Academy of Pediatrics does not recommend toddler formulas. Most toddler formulas are made from powdered milk, corn syrup and artificial sweeteners, and while they may claim to have additional additives such as DHA and lutein for brain and eye development, none of these additives have been shown as necessary in the toddler diet. Another problem that I see when it comes to toddler formulas is that by allowing your already food-picky child to drink their meals, this will most likely further perpetuate issues when it comes to trying new foods and expanding their eating horizons. Now, these rules above about whole milk and toddler formulas apply for otherwise healthy children. There are very specific instances for children with certain medical illnesses or allergies that toddler formula may need to be included in the diet, but these cases should always be discussed with your child’s pediatrician. The toddler years can be an adventure to say the least. There will be battles…lots of them. Try to leave those battles outside of the dinner table though and this includes what your child is drinking. No need to force whole milk for those kiddos with robust and varied appetites. And remember, when it comes to toddler formula for otherwise healthy children…just say “No!” Stay tuned for an upcoming post about all of those milk alternatives that are on the market these days and how they can fit into your child’s daily routine.